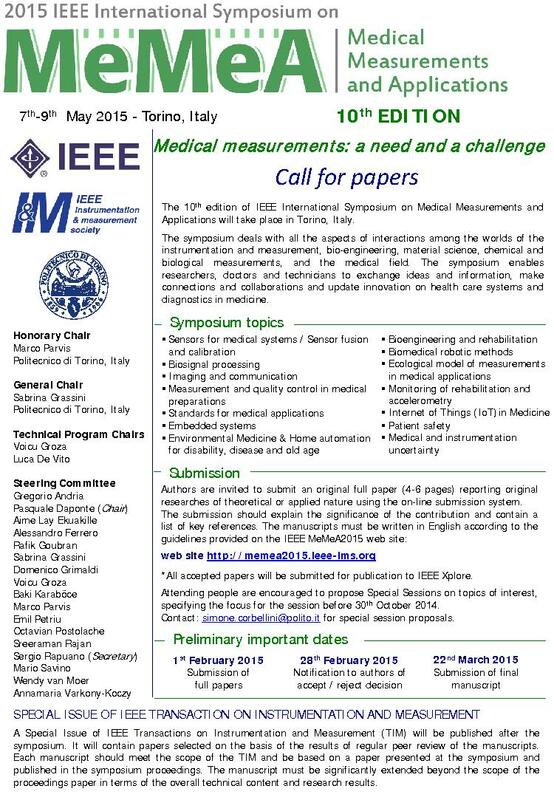 Thank you to everyone that made the 10th annual IEEE International Symposium on Medical Measurements and Applications in Torino, the first capital of Italy. This year's symposium theme is Medical measurements: a need and a challenge. The symposium deals with all the aspects of interactions among the worlds of the instrumentation and measurement, bio-engineering, material science, chemical and biological measurements, and the medical field. MeMeA enables researchers, doctors and technicians to exchange ideas and information, make connections and collaborations and update innovation on health care systems and diagnostics in medicine.